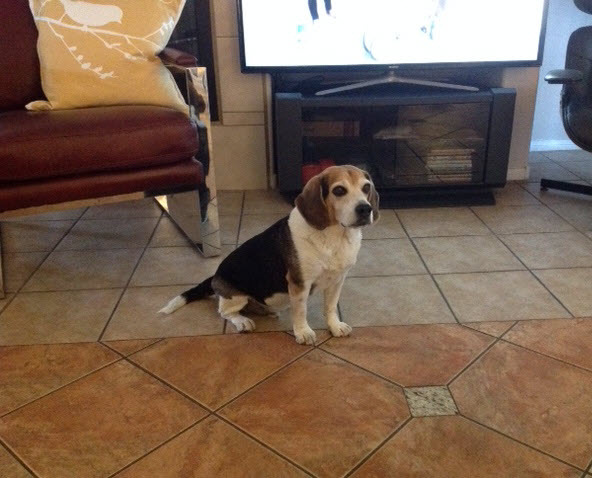 Josephine and Jim Shakespeare of Las Vegas N.V., have been passionate and loving pet parents to their Beagle “Buddy” since he was 11 weeks old. 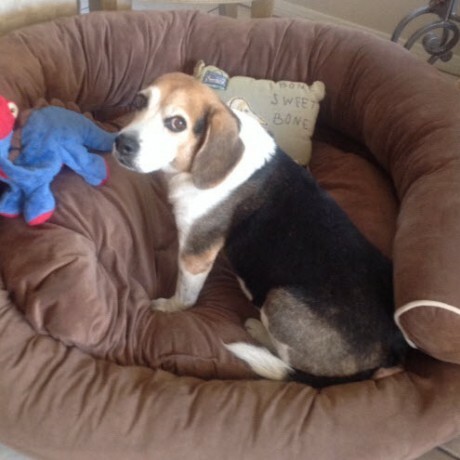 Over the years they’ve fallen in love with Buddy’s playful and curious Beagle way of life. His favorite activities consist of playing with his many stuffed animals, sniffing out trails in the park and going for nice long walks. 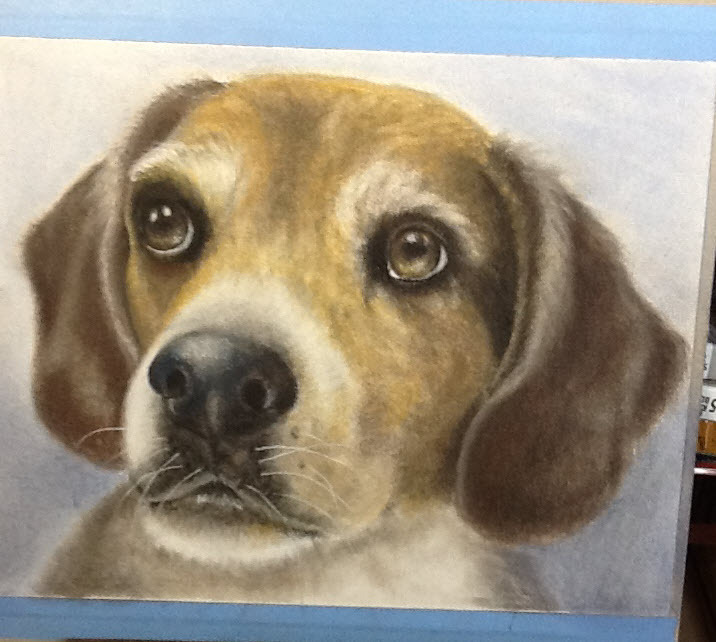 Jim, who’s an artist, has even dedicated some of his work to Buddy. The couple purchased VPI pet insurance for Buddy when he was a few months old, but have sparingly needed to use it throughout the years. However, with Buddy entering his senior stage at 12-years-old, they’ve recently needed routine visits to the veterinarian to take care of smaller health issues. Unfortunately, this year, one of Buddy’s routine visits turned into a frightening and life threatening experience. Buddy checked in for a small procedure when the veterinarians had trouble inserting the catheter into Buddy’s leg. Upon further examination, the veterinarian team discovered what was blocking their entry, a tumor that ultimately proved to be cancerous. With Buddy’s age being a serious factor, the veterinarian team gave Josephine and Jim three options to treat buddy. Option one was to undergo chemotherapy, which could have been too much for Buddy’s body to handle at his age. The second option was to amputate Buddy’s leg, but the veterinarians felt that he may not recover or be able to adjust at 12-years-old. The third option was a series of heavy medications in pill form that had less of a chance of working, but would allow Buddy to live his normal life. Buddy immediately started his cycle of medications and the results have been incredible. As of today, Buddy is still in recovery, but the medications are working and the cancer is receding. Buddy is back to his normal self, enjoying his frequent long walks and playing with his favorite stuffed animals. Josephine and Jim are incredibly happy with the results and the support from VPI. 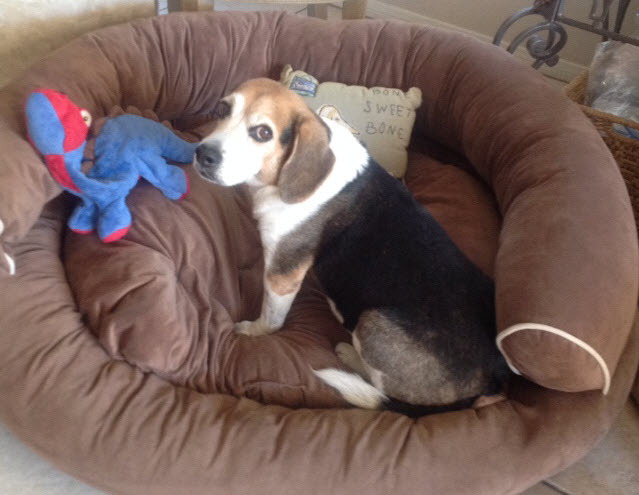 You can help protect pets like Buddy during November for National Pet Cancer Awareness Month. Visit www.curepetcancer.com to find out how you can raise awareness and $10k for a cure.